Designed to provide added attraction to baits, often inducint takes when plain biats are being ignored, they also preovide quick identification to the barbed hook when using Semi-Barbed trebles. 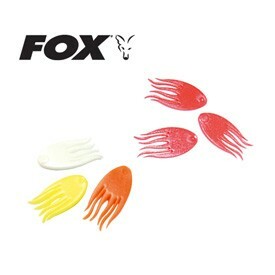 FREE Delivery on all Fox Rig Components over £100!! !